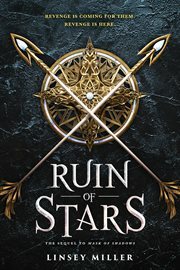 Ruin of Stars [electronic resource] / Linsey Miller. [United States] : Sourcebooks Inc, 2018. The thrilling conclusion to the Mask of Shadows duology that weaves a tale of magic, shadows, and most importantly, revenge. As one of the Queen's elite assassins, Sal finally has the power, prestige, and permission to hunt down the lords who killed their family. But Sal still has to figure out who the culprits are. They must enlist the help of some old friends and enemies while ignoring a growing distaste for the queen and that the charming Elise is being held prisoner by her father. But there's something terribly wrong in the north. Talk of the return of shadows, missing children, and magic abounds. As Sal takes out the people responsible for their ruined homeland, Sal learns secrets and truths that can't be forgotten.